Sadly most good deeds go unnoticed. 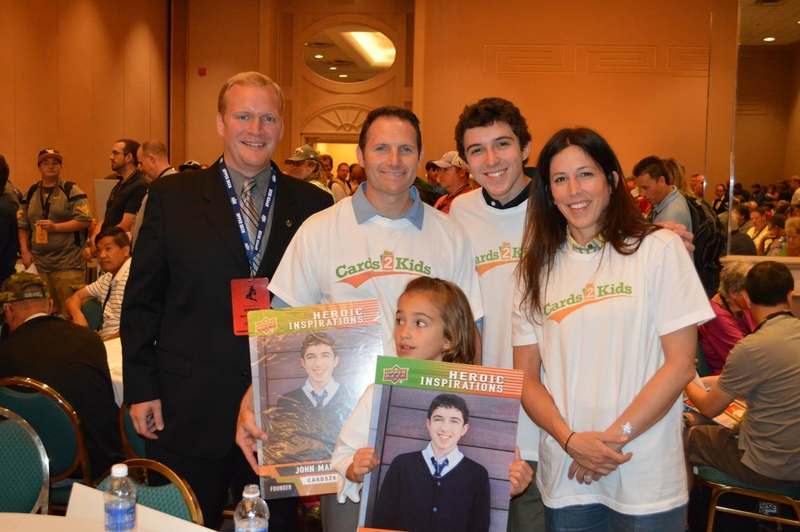 That is not the case for John Makowiec the founder of the Cards2Kids charity. The goal of the charity is to help deliver trading cards to deserving kids at Boys & Girls Clubs, children’s hospitals and other kid-focused charity organizations. 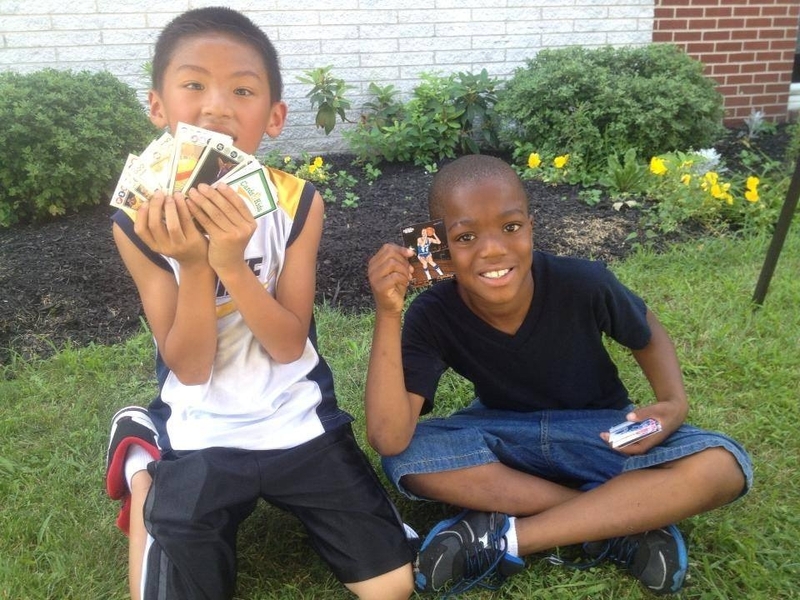 To date the organization has donated over 1,000,000 trading cards to charities throughout the United States and Canada. John himself as spent countless hours organizing cards, packaging them and ultimately delivering them to these worthy organizations. And that’s where he gets his payoff by seeing the smiles his donations generate from excited children and future collectors. The smiles John Makowiec receives from seeing youth enjoy the trading cards he provides through the Cards2Kids charity is a payment enough for his efforts. Upper Deck has been a longtime partner of Cards2Kids as we think what they are doing is very special and we have found John’s hard work to be truly inspirational. Recently Upper Deck has received a lot of attention for cards we have done of inspirational athletes like Doc Jacobs and Jack Hoffman, but we feel like there are some great inspirations outside the sports world. And it is because of that Upper Deck decided to create a special promotional “Heroic Inspirations” card with the dream of sharing his love for trading cards with other kids; John Makowiec. Upper Deck honored John Makowiec with his very own Upper Deck “Heroic Inspirations” trading card at the National Sports Collectors Convention. 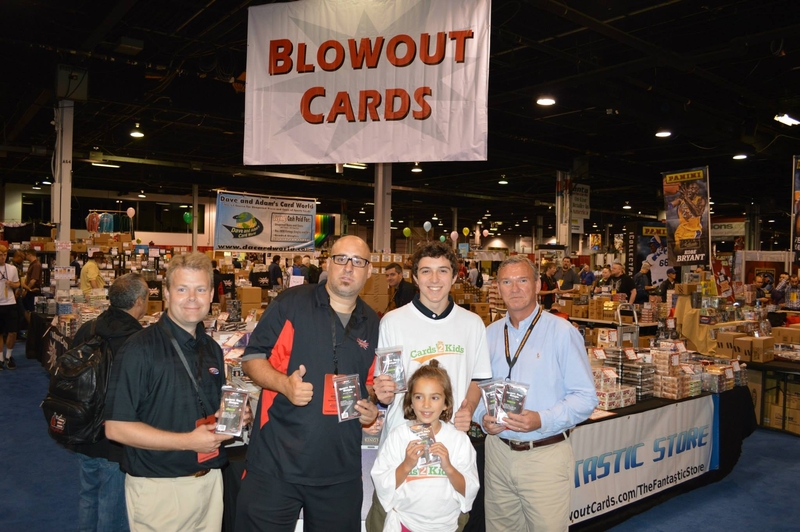 At the National Sports Collectors Convention’s VIP celebration, Upper Deck decided to make sure John’s deeds did not go unnoticed any longer by surprising the inspirational young man with his very own trading card in front of his family and hundreds of die-hard collectors. And instead of talking about how exciting it was to see himself on a trading card, John was mindful to let collectors know to make sure they drop off any unwanted cards to him at the show this week. 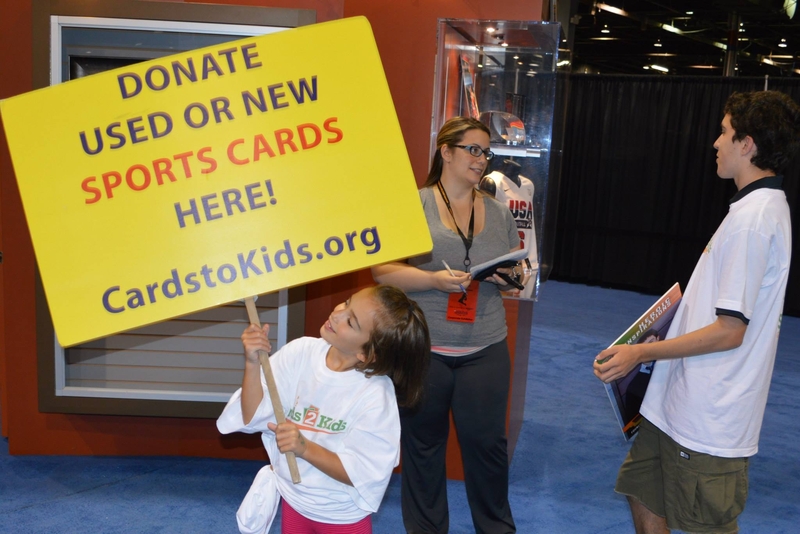 Upper Deck is proud to donate some space at our corporate booth to host John and his Cards2Kids team at the National Sports Collectors Convention this week as we work together to help share the hobby with the next generation of collectors. John’s charitable efforts have caught more than just Upper Deck’s attention. One of the organizations biggest struggles is with regard to procuring supplies to package the trading cards that are donated. And when we shared that with Blowout Cards owner Tom Fish, he immediately contacted the good people of BCW Supplies. And together, both Blowout Cards and BCW Supplies donated 50,000 team bags to John and his charity. Tom Fish, representatives from BCW and John all talked with excitement about all the good that would do as this donation will potentially result in 50,000 smiles from deserving youngsters. Blowout Cards & BCW Supplies partnered to donate 50,000 team bags to the charity at the industry’s biggest convention after they heard about what the charity needed. John will be the first to say that it’s not all him. But what he may fail to say that the growth of the organization is absolutely a product of his hard work. The charity now has ambassadors and sponsoring hobby shops in a variety of cities with the number on the rise as more teens are finding inspiration from this worthy goal of sharing the hobby with the youth of today. For more information on how you can get involved with this wonderful organization, please click HERE. John is interviewed by Beckett Magazine at the Upper Deck Booth as his younger sister proudly touts a Cards2Kids sign.